New Year’s Resolutions: Keep Them! Just like last year, the year before that, and the year before that, we all welcome the New Year with high hopes of becoming a healthier person. Whether it’s going to the gym four times a week, making healthier dinner choices, or cutting back on ordering Dominos every weekend, most of us find ourselves not sticking to our healthy goal. According to Shape Magazine, less than 10% of people actually stick to their resolutions throughout the year. Whether it’s because we lack motivation, support, or because we find every excuse under the sun, we just can’t seem to stick to these resolutions. 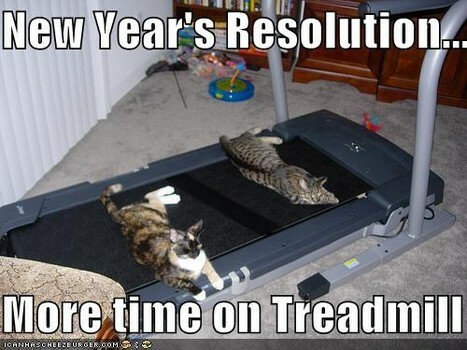 But some of these resolutions, we should be sticking to for more than one reason. Important? Yes, very. Not only does working out or staying active help you maintain or reach a healthy weight, it also helps your immune system. Especially now that we are suffering seven-degree weather, it is important that you stay healthy. How do you stick with it? Sign up for a gym membership or a fitness class. If you are spending the little money you actually have, you may feel more obligated to actually go. Better yet, find a pal who is a gym rat and will make you feel fat and lazy for not going everyday. No offense but research has shown that smoking does indeed lead to cancer and can kill you, so why do it? So instead of saying “this will be the year I finally stop smoking,” actually do it. Find a friend or family member to do it with you for moral and emotional support. There is nothing better than cutting a not-so-healthy habit out of your everyday routine that is basically chopping days off of your life expectancy. Even though everyone on the planet says that they will start eating healthier (tomorrow or Monday), and eating 6 meals a day, they usually don’t. Whether your class and work schedule stop you from reaching this goal, it really isn’t a valid excuse. Before you go grocery shopping, make a grocery list so you are not purchasing three bags of Lay’s chips when you are sad and depressed over the boy who doesn’t like you back. Don’t grocery shop? Skip the waffle and pizza bars in the dining halls, and make yourself a healthy, hearty salad instead!